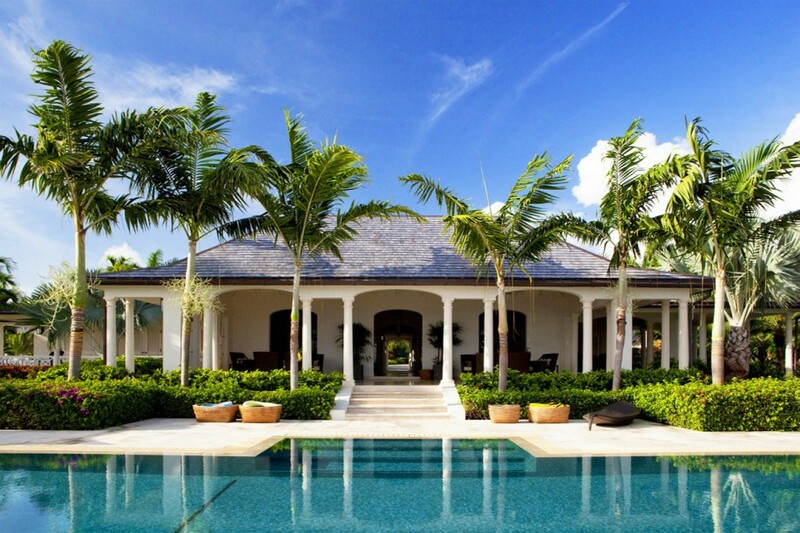 Luxury 4 Bedroom Villa Antigua – a spectacular contemporary home defined by its beachfront setting and sense of total privacy. 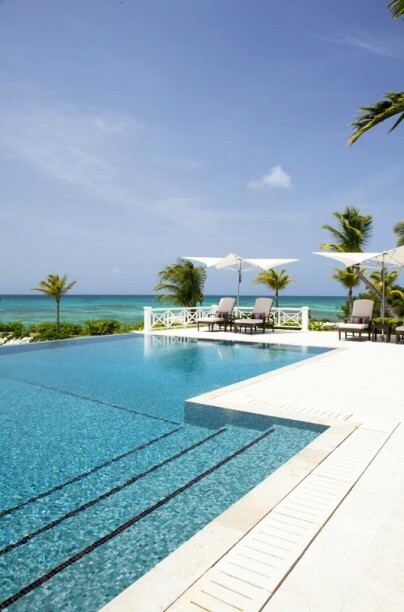 Set in secluded grounds with magnificent oceanfront infinity pool and two private beaches, the four bedroom estate is protected by lush, tropical landscaping and offers sweeping views of the Caribbean Sea. Entering the estate guests find an array of versatile settings for vacation living and entertaining; each realized with impeccable quality and style. The living pavilions are graced with vast terraces and entertainment areas with generous views of the sea and designed with a state of the art kitchen, dining room, living room and multi-media room. 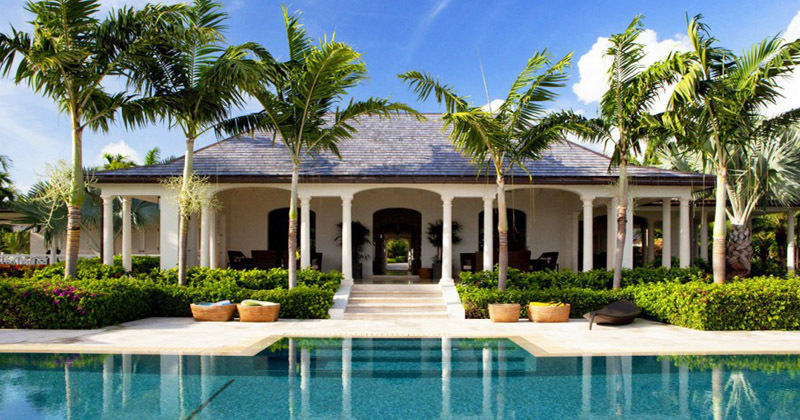 Contemporary architecture and design offering a warm and welcoming atmosphere. 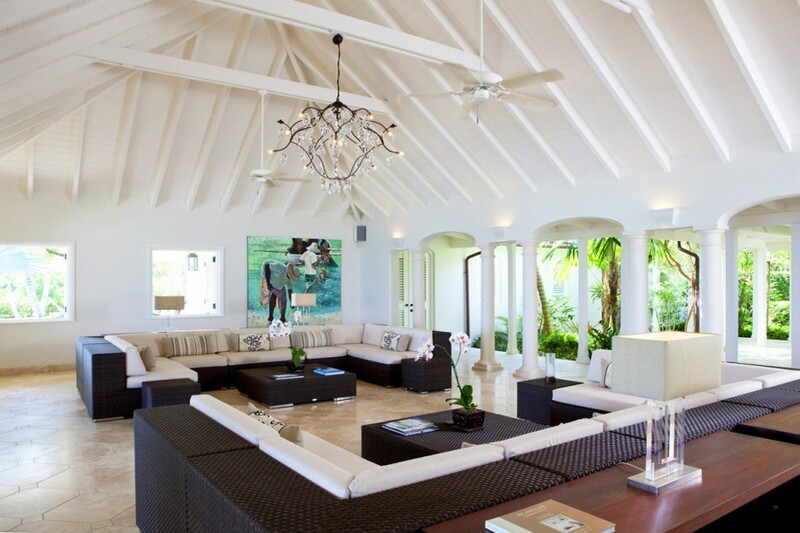 The simplicity of decor contrasts with well-chosen accessories and local art which add character and color. 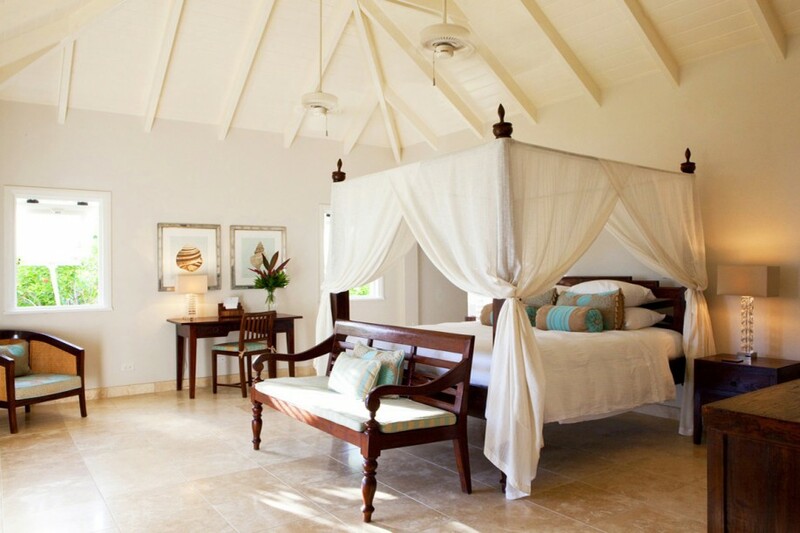 Just a few steps outside the living areas, there is the bedroom pavilion featuring four elegantly designed bedrooms. 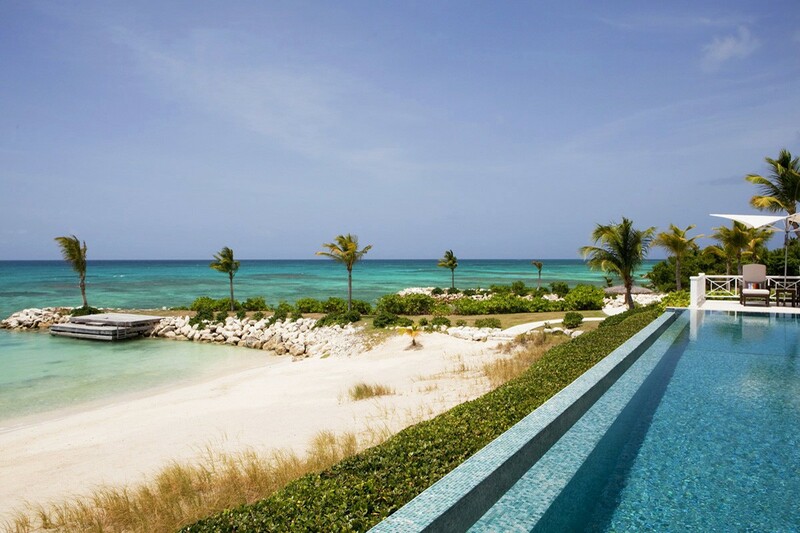 Each bedroom is a welcome retreat after an exciting, active day with fine furnishings, en suite bathrooms, television, air-conditioning and ocean view terraces. 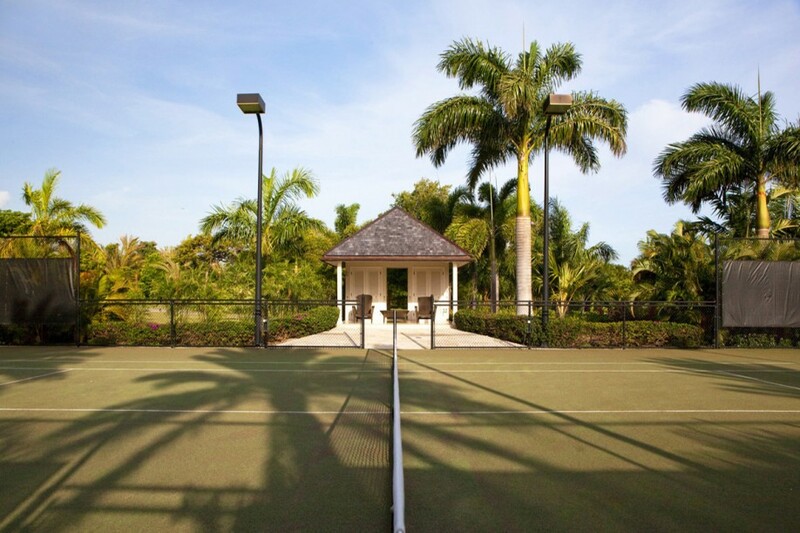 A short stroll from the main house is a flood-lit tennis court with pavilion for guests to enjoy. There’s plenty to keep you occupied but should you want to venture out, the resort is just a short walk, buggy or bike ride away. 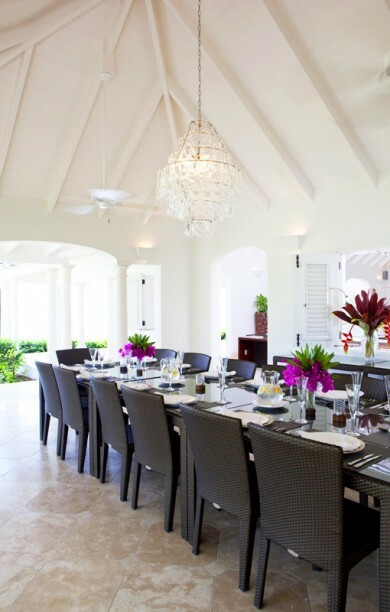 Jumby Bay’s renowned facilities (tennis courts, spa, gym and croquet lawn) are also available as well as the superb dining offered at Verandah Restaurant and Bar, The Pool Grille, The Estate House and The Beach Bar.